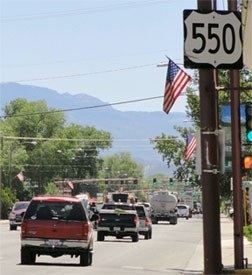 US 550 was still described as going only south on Townsend, while northbound Townsend is signed only as "TO US 50". 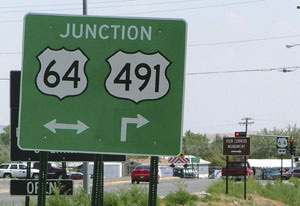 The "TO" was added to both panels on the left, and the "ahead" arrow was greened out and replaced with a "left" arrow... which is a little odd, because if one simply continues ahead on Main, they will reach US 50 in about a mile... whereas, if they follow the signs, they will travel about three miles before reaching the same place. 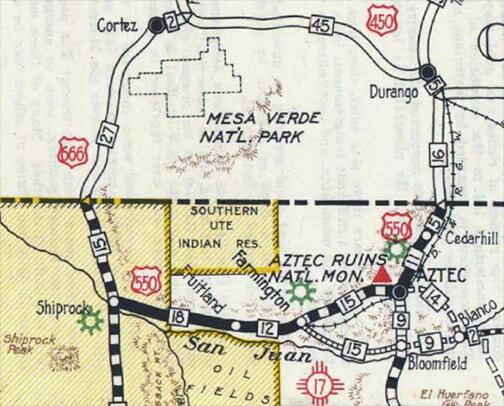 Until 1936, US 550 began straight ahead, but at the time of these photos it began to the left. 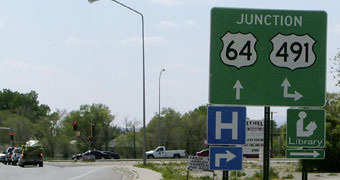 Until 2010, this was westbound US 50, which continued to the right. 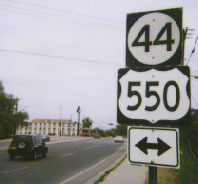 Now it is US 550 that goes to the right (as well as left), but as of 2010, neither of those sets of signs had been changed. 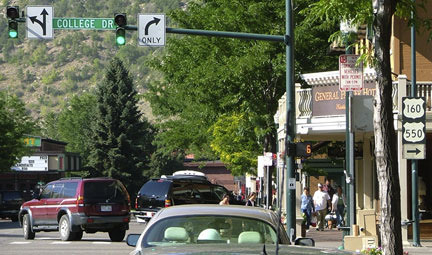 Those were looking south on Main Avenue at College Drive. 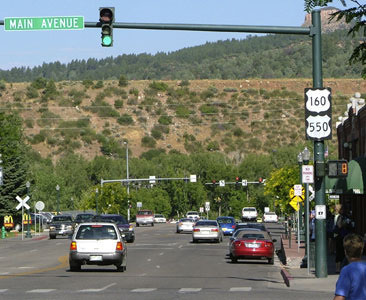 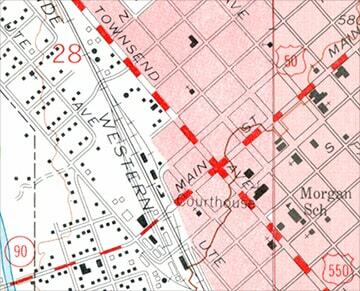 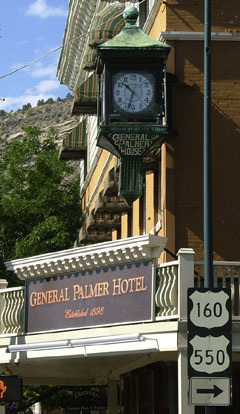 US 160 ran along College (although it was called "6th Street" back then), and US 550 ended there. 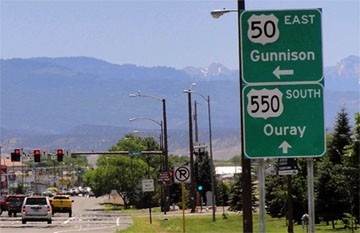 Despite signage at that intersection, neither US 160 nor US 550 are still routed along these streets. 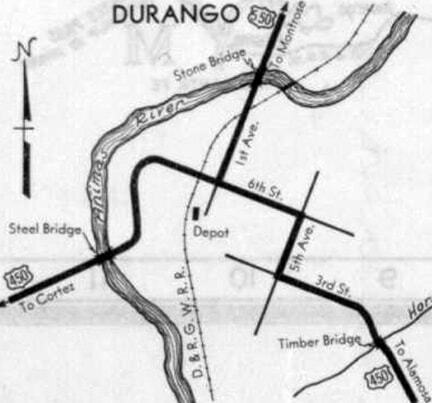 US 550 runs along a bypass about two blocks to the west (right), and the US 160 bypass is ahead about two blocks, on the other side of the Durango-Silverton Train railyard. 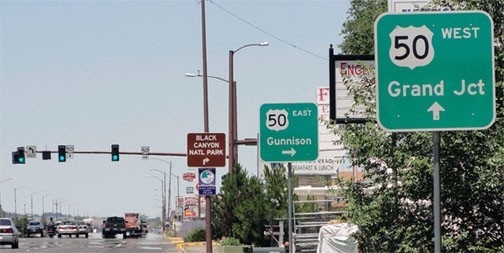 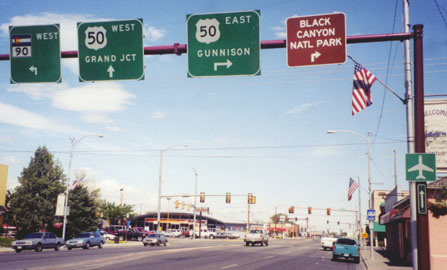 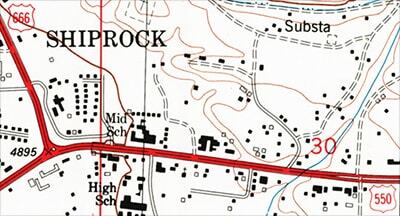 In 1989 the US 550 designation was cut back to Farmington (when its former route to Shiprock became an extension of US 64). 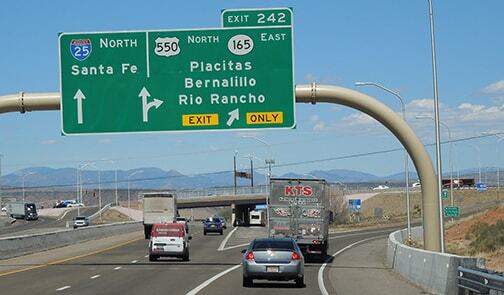 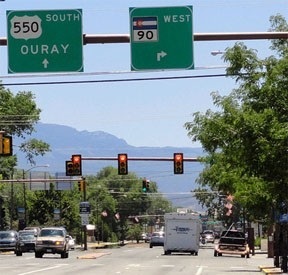 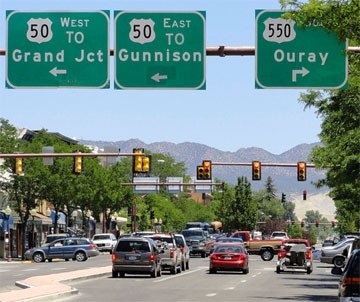 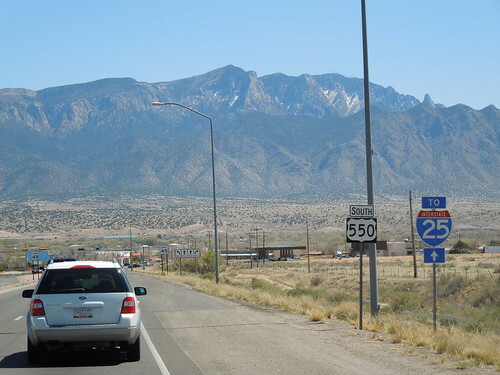 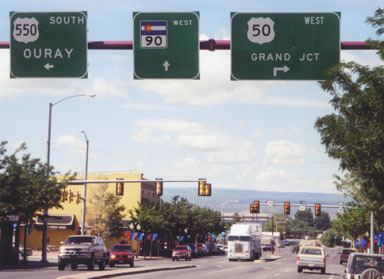 Since NM DoT has decommissioned US 85 in their state, US 550 still does not connect with any north/south US routes. 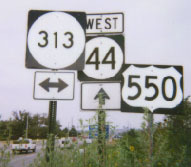 Apparently it is destined to remain one of the surprisingly few US routes that defy the concept of number-direction parity. 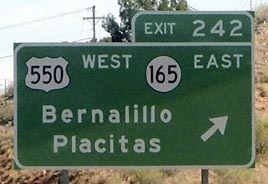 last updated September 10, 2016.